You can only use the offer once per DoorDash account, but the free delivery deal is unlimited through Feb. 4. The restaurant chain also offers the Son of Baconator, which only has one beef patty. “We’ve always owned bacon and that’s not changing because our competitors are throwing a happy hour to celebrate its importance,” Kurt Kane, Wendy’s executive vice president, chief concept and marketing officer, told PEOPLE Magazine . The Wendy's deal is a direct response to McDonald's Bacon Hour , which was announced last week. January 29, we’ll be upping the bacon ante—the bac-ante, if you will—and celebrating this glorious food favorite like never before,” Chef Michael Haracz, McDonald’s Manager of Culinary Innovation, said. 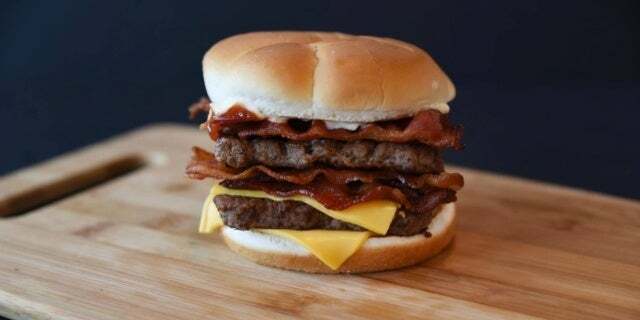 “People love bacon, and they love our iconic Big Mac, fresh beef Quarter Pounder burgers and World Famous Fries, so we had to see what would happen if we combined all that tastiness,” Haracz said.